Today’s response was decent. Here is the response when the Philatelic Bureau opened its doors. The stamps in the main General Post Office counter was sold out quite early. The queue at the Philatelic Bureau was initially slow but started to move towards 10:00 am. 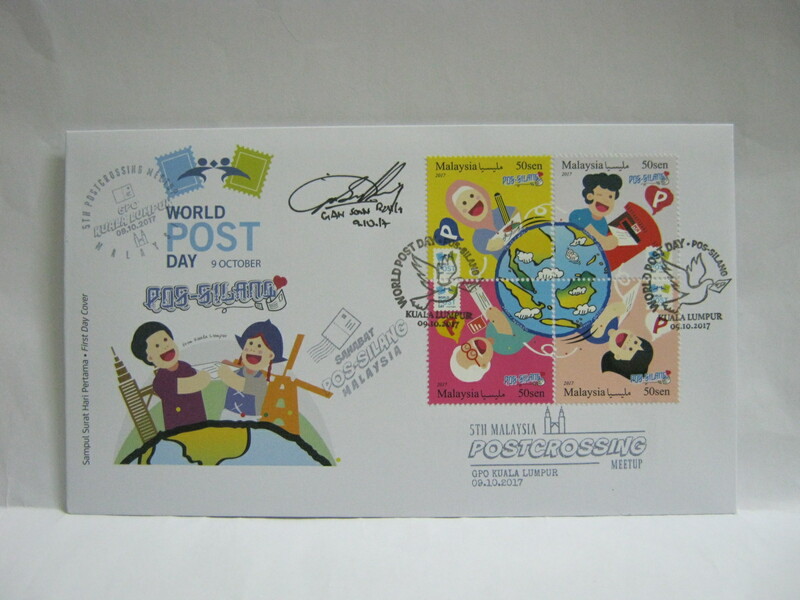 Most buyers were aiming for the Postbox Postcard design. At the General Post Office, there was an simple observance of the World Post Day. 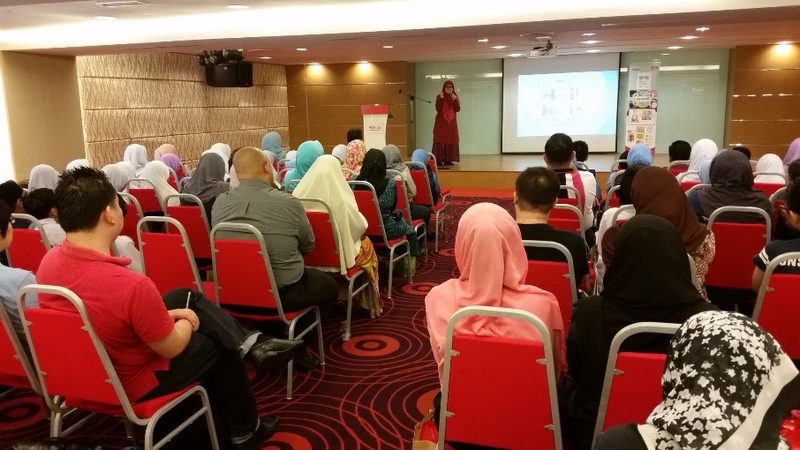 16 early birds were given goody slingbags with free Presentation Packs and souvenir fridge magnets. 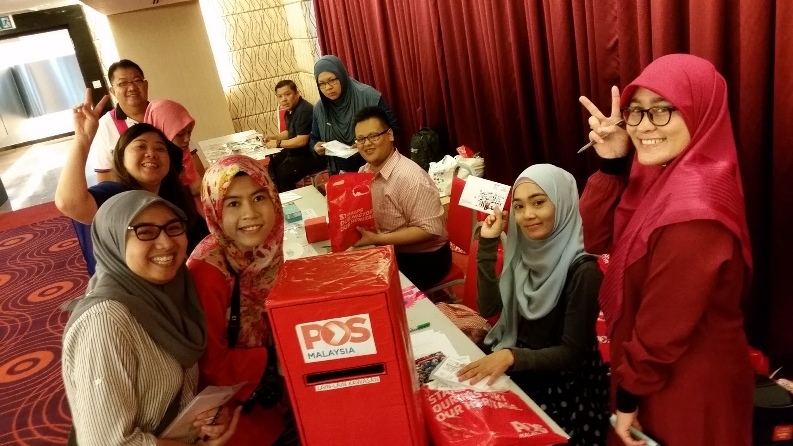 Meanwhile, the 5th Malaysia Postcrossing Meetup preparations were underway directly upstairs on Level 3 where Dewan Sri Pos is located. Recognise anyone inside the photo? This time the Postcrossers were seated in a square. The Postcrossers then put their postcards into a plastic bag with their name marked. The plastic bag is then passed in turn around the square arrangement in order that all those seated can sign in turn. This is a very neat way compared to the criss-crossing arrangement in the last meetup on a round table. After the initial autographing (is there any other name for this signing process?) of postcards, everyone joined in the opening ceremony. At the end of the ceremony, the Prostcrossers returned to the square and completed the autographs and applied cachets of the 5th Postcrossing Meetup on the postcards. 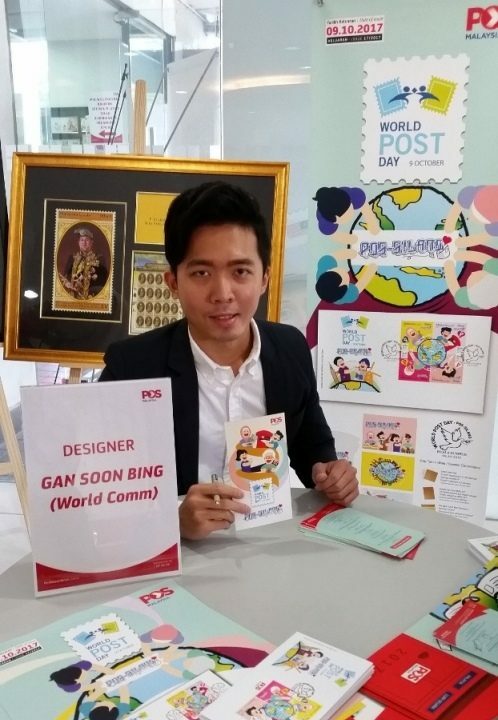 The designer for this issue is Mr Gan Soon Bing from World Communications Network Resources. Here is my simple FDC with the Meetup cachets and designer’s autograph. This time I managed to send out postcards. The Kota Kinabalu Postcrossing Meetup was held in Sea Monster Restaurant, Segama. 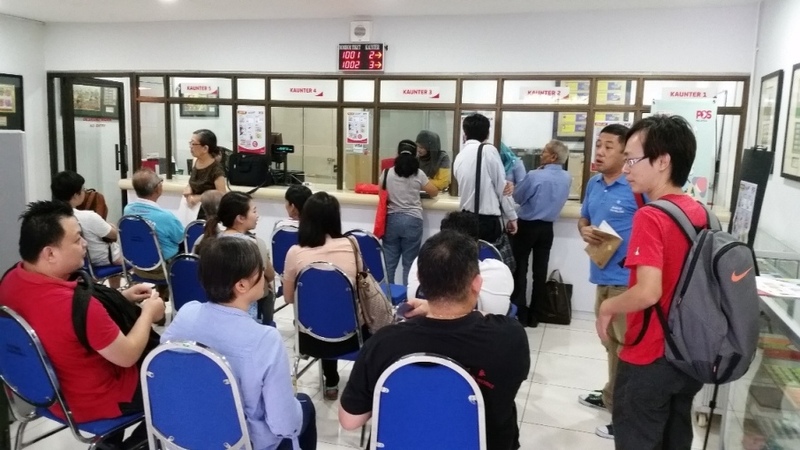 Meanwhile in Johor, Majidee Post Office and Pasir Gudang Post Office provided a special World Post Day cachets on postcards. How was the response and celebration at your location? Wow.. postcrossers in KK is pretty active. I wonder if there is any such activity in Peninsular side. I am a new postcrosser, just joint this year. Find all this very interesting. Haha.. nevermind my question. Just saw the blog in postcrossing.com. So there was a meet up in KL. Missed it. Welcome to myfdc! I hope you enjoy the articles. If you have any suggestions, feel free to send in.